The new Elektra Cinematic Color Presets from PolarPro let you see your LOG video in all its glory on the set and carry that look consistently into post production. Following the successful release of their Aurora package of LUTs (Look Up Tables) which we covered here on September 6, 2017, PolarPro has expanded the line and re-branded it as the Elektra Cinematic Color Presets. The original line was intended to help drone pilot photographers add professional looks to their videos. But the new Elektra offering expands on its concept and Austen Butler, vp and co-founder of PolarPro was good enough to give The Broadcast Bridge an exclusive interview to explain how they can help anyone’s workflow. These popular professional-level video camera profiles include the Canon C-LOG, LUMIX/Panasonic V-LOG and both of the Sony S-LOG2 and S-LOG3 profiles. 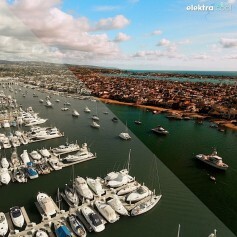 The Elektra "cool" preset in an A/B comparison. When you take your video into the edit suite, all of the Elektra products are compatible with most current NLE’s including numerous Adobe products such as Adobe Premiere Pro 9.0 or later, After Effects CC or later, as well as Apple’s Final Cut Pro X, and Blackmagic Design’s DaVinci Resolve 9 or later. Elektra - Which Butler described for us as providing an optimal color pop favored for action-related scenes like sports. 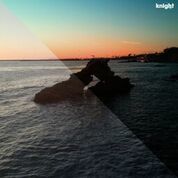 Purity - Letting you capture video in the expanded LOG range but view it as a natural color grade with true tones. Deep - Taking the natural colors adding saturation along with pushed blacks and shadows to the natural colors to create a deep, rich look. Morpheus - Inspired by “The Matrix” films using a slightly bleached bypass look with a limited color pallet. Knight - Think “The Dark Knight” saga, presenting an analogous color pallet with heavy blue tones that brings a deep look and evokes a new feeling to the content. The Knight preset adds a dramatic dark and moody feel. PolarPro will also be keeping its drone camera LUTs. So in addition to the new Elektra Cinematic Color Presets camera profiles, they will continue to support drone color profiles for the DJI Mavic Pro, Phantom 4 Pro/Adv., Phantom 4 Standard, Zenmuse x3/OSMO and the GoPro Pro Tune profiles.